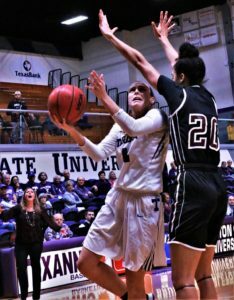 The Tarleton State University TexAnn basketball team was unable to seize the win in their regular season finale against the West Texas A&M Buffs Saturday in Wisdom Gym. 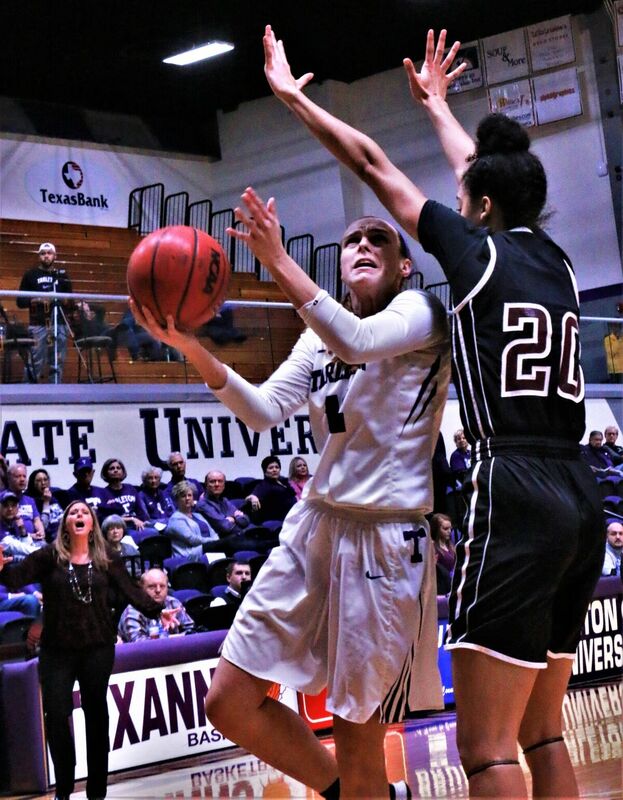 A senior night turned into a loss for the TexAnns, as senior guard Tiara Tatum played her final game in Wisdom Gym. “It was a special moment. (The game) go exactly as we wanted it, but I was glad to finish with the team I did,” Tatum said. The TexAnns seemed unable to snag second chance rebounds due to the Buffs’ size, however Tatum said she learned a few things, as a team and individually. The TexAnns came out of the gate in a zone defense, but it wasn’t enough to stop Buffs’ baskets. After a 16-point win last Thursday against the University of Texas Permian Basin Falcons, Wilson said West Texas is a team they can learn from. The No. 5 seed TexAnns will face-off the No. 4 seed Eastern New Mexico Greyhounds on Thursday night at 6 p.m.